The award-winning critic and novelist details his travels in such far-flung places as Tahiti and the Arctic Circle. Mr. Dyer is keenly, almost achingly, aware of our own impermanence. His imagination, you could say, has a built-in time-lapse function. He sees a lifetime of past and future boredom in a museum guard’s face; the sight of a particular soccer field immediately induces 'a vision of its own demise'; 'The Lightning Field' makes him wonder what aliens will make of it long after humans are gone. 'Stories don't interest me,' Geoff Dyer told the Huffington Post in 2014. That this is true is evident in his new collection of essays, White Sands. Which doesn't mean that White Sands isn't a good read, because it is. You must, however, get used to Dyer's tone, which is persnickety and unenthusiastic. His virtue is not the whole-hearted embrace of experience and exotic locales but the parsing of degrees of disappointment. He also doesn't pretend to be heading anywhere, but then White Sands turns into a memoir and becomes unexpectedly moving. When Dyer’s insights gain altitude, they are transcendent, reminding us that every square inch of the planet shimmers with the magnetism of its former life and former meaning. And yet, even as that awareness rises in him, it’s clear that Dyer is not someone comfortable in an empty world, and he connects most easily to the sublime through the man-made, like the eerie Lightning Field, and as the installation’s artificial magic gathers steam in his consciousness, the power of the landscape itself, and its existence before civilization and art, seems to dwindle. 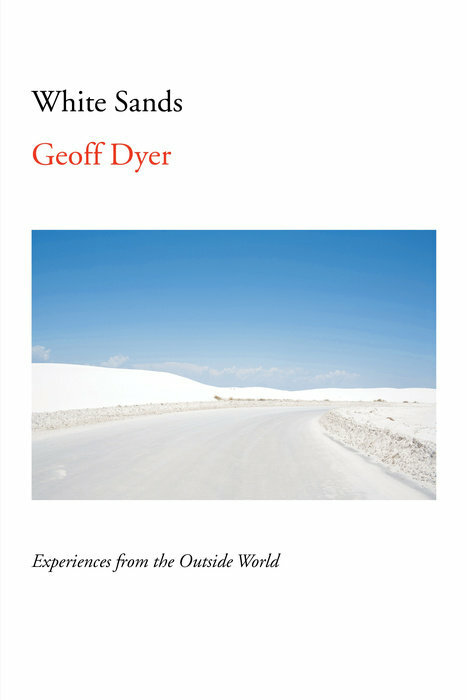 By the time you finish this collection, the answer to the question — What is Geoff Dyer searching for? — comes not directly but by default. To be alive, I suppose, is the answer. To make sure his world is as big as he can get it and to make sure that his mind keeps apace of that expansion. A worthy enough mandate for a guy just passing through, as are we all. What did you think of White Sands: Experiences From the Outside World?